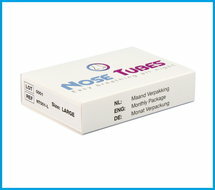 The NoseTubes 3 month packages consist of 3 individual boxes containing two NoseTubes. This gives you a separate box for each month, with two NoseTubes which can be used up to 28 nights. With the NoseTubes 3 month package, you do not have to worry about monthly orders. 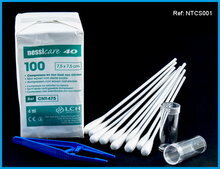 With one order you have sufficient for 3 months of using the NoseTubes. Optional with your order is the NoseTubes inserter. For only € 3.95 you can order the NoseTubes inserter, the inserter makes the use of the NoseTubes even easier. We also recommend to order the "Cleaning Set". With this set you can clean the NoseTubes perfectly after use. Social Media Follow us on social media! A brand of MDS B.V.